James Grippando has tackled everything from the death penalty to Ponzi schemes in his bestselling thrillers, and he delves into the hot topics of internet data mining and secret detention camps in his seventeenth novel, Afraid of the Dark. Miami criminal defense attorney Jack Swyteck, making his ninth appearance, is drawn into a web of international intrigue when he defends a young man named Jamal who faces the death penalty for terrorist activity. His search for the truth leads Jack to London for the first time but also takes him into the depths of illegal internet sites. Grippando, born and raised in Illinois, was a trial lawyer with a prestigious Miami firm for 12 years before he became a full-time writer. He lives in Miami with his wife and children and co-authored his last eleven novels with a Golden Retriever named Sam. How you explain the popularity of your books in so many countries around the world? What is the ingredient that gives a story universal appeal? One of the most gratifying things I hear is that my books sell well in countries where “American thrillers” don’t typically sell. It’s hard to isolate “the” ingredient, but people do tell me that my thrillers have a way of tackling timely and controversial subject matters without preaching. That’s been true from the first Jack Swyteck novel, in which Jack defended death row inmates. I would defy anyone to read The Pardon and figure out where I stand on capital punishment. The same goes for Afraid of the Dark and the controversy over online privacy. NEVER will you meet a data miner who fails to remind you how you felt on September 12, 2001. Their contribution to the battle against terrorism is the upside. But then…there’s the dark side. That said, it could be that the books are just fun to read. When you and Jack Swyteck started working together, you were both attorneys practicing in Miami. Your lives have changed—you’re now an internationally known author and Jack is traveling the world to find the truth about a client accused of terrorism. Did you always plan to broaden the scope of the Swyteck novels or does the evolution reflect your interest in world events? The funny thing is that I wrote the first Jack Swyteck novel with no intention of creating a series. I stepped away from The Pardon for years and wrote five stand alone thrillers before I finally returned to Jack with Beyond Suspicion in 2002. Afraid of the Dark is Jack’s first adventure in London, but the international storylines leap logically from where I write and Jack lives—Miami, one of the most international cities in the world. The Russian mafia is here (Beyond Suspicion), and they live right down the street from the fugitives from the Argentine Dirty War (When Darkness Falls). I am definitely interested in world events, but Jack and my stories always have a firm connection to our hometown. You’ve talked about having a “what if?” moment that leads to a plot for a book. Did you have one of those moments for Afraid of the Dark? Definitely a “what if” moment—which is not to be confused with the “Aha!” moment. I’m not being cute. There really is a distinction. Some stories hit you like a lightening bolt. The Pardon was like that—a near arrest at 1:00 a.m. had me up all night writing about an innocent man hours away from execution for a crime he may not have committed. Other stories you have to noodle around a little, playing with the facts…what if this, what if that? Afraid of the Dark was that way. I came across a fairly obscure report that while officials were denying the existence of “black sites,” the U.S. government was purchasing insurance to pay for the legal fees the interrogators might incur when defending claims of torture at these “nonexistent” sites. Hmmm. The trick was to connect this intriguing bit of information to a criminal defense attorney in Miami. So…what if Jack’s client is charged with murder, and to prove his innocence Jack has to do more than prove that he was being interrogated at a black site at the time of the crime? He has to prove something the White House denies: that the site ever existed. Does the finished book differ from your original concept? Are you ever surprised when a plot takes off in a new direction? My plots are complex, and my characters are rarely who they appear to be, so outlining is essential. But I never outline the story beyond the point of major conflict, where good clashes with evil. The resolution of the conflict always works itself out in the writing. That does lead to some surprises. In Afraid of the Dark, for example, on page 374 … well, maybe you should read for yourself. Like many of your books, Afraid of the Dark deals with something that’s in the news—data mining, in this case. Are you a news junkie? How can you be sure a plot will still be topical by the time the book is published? The tag line “ripped from the headlines” couldn’t be farther from what I do as a novelist. We live in a world of real-time news. By the time anything is ripped from the headlines, bloggers have blogged it to death. No one wants to hear another thing about it a week after it happened, let alone a year or more. If your novel is going to be timely, you have to stay on top of current events and be able to forecast how forces may collide to create news somewhere down the road. I started writing Afraid of the Dark more than two years ago, when Facebook was exploding, and it seemed to me that privacy issues and data mining were going to become hot-button issues. Two years later my book is in the bookstores, and the Wall Street Journal is just this month wrapping up a thirteen-part series on data mining and internet privacy. Sometimes you hit it right. We’re all aware of the dangers of the internet, but writers are encouraged by their publishers to have an “online presence” and some authors share an astonishing amount of information about their personal lives online. Does that kind of full disclosure make you nervous? And do you think it’s really necessary for writers to become social media celebrities in order to build a fan base? My identity was already stolen once online, in 2009—so yes, sharing personal information online does concern me. 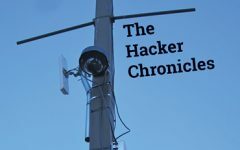 Some authors choose to share more personal information than I do, but the bigger danger is to people who think they are safe because they don’t cultivate an “online presence.” In researching Afraid of the Dark, I was surprised to learn that a simple visit to www.dictionary.com results in the installation of 234 tracking devices on your computer. We all need to be vigilant. I don’t think we’re at a point where it’s necessary for writers to be social media celebrities. In fact, several other HarperCollins authors and I were recently on a conference call with our director of online marketing, who discouraged us from entering the social networking world if we weren’t enthusiastic about it. That lack of enthusiasm shows through, which is counterproductive. You’re never at a loss for ways to scare your characters. What scares you? Do you use your own fears in your writing? Deadlines. They terrify me. And interviewers who ask me what scares me. I have this fear that they are going to show up at my bedside one night holding a sixteen-foot python. By the way, I’ve used the python…check out The Informant. Some of your books, such as Found Money, focus on ordinary people caught in sinister circumstances, while others deal with the stuff of national/international headlines. Is one or the other easier or more fun to write? Or can you find the ingredients for intense suspense in almost any situation? Questions about what’s easy and what’s fun all depend on what kind of mood you’re in. That’s the great thing about being a writer. If I want to write about a minor league baseball player who finds out that his wife’s car accident was no accident (Intent to Kill), I can go that way. If I want to write about black sites in the Czech Republic, like Afraid of the Dark, I can shift gears and do that. 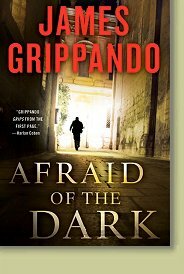 Afraid of the Dark is my eighteenth novel, and most thriller writers who have been around as long as I have learned early in their careers that you’d better learn never to write the same book twice. Are you ever going to let Swyteck settle down and have a happy family life? Or would that be bad for the series? I get a lot of e-mails about Jack finding the right woman. All I can say is that this is a question that will have an answer at some point. Some authors make their recurring character 35 forever. Jack is aging in real time. He was 29 in The Pardon, and in Afraid of the Dark he’s forty-ish. He wants a family and someone (besides his buddy Theo) to grow old with. I promise to have that worked out before he’s on the shuffleboard court. I just finished the 2012 release, which is outside the Jack Swyteck series, though not entirely. One of the most popular characters in the series is Jack’s fiancé, FBI Agent Andie Henning. She was a hit without Jack in Money to Burn (2010), and she’s back strong and taking on Wall Street again in 2012. But the process never really stops. I’m now in the fun stage—back to playing that “what if” game—for the 2013 novel. “What if this crazed sea captain chases across the ocean for a big white…” Nah, been done. But to answer your earlier question: Yes, suspense can be found in any situation. 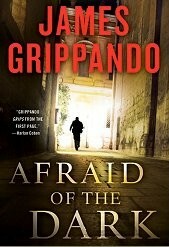 James Grippando is the bestselling author of seventeen novels of suspense from HarperCollins including Afraid of the Dark, Money to Burn, Intent to Kill, Born to Run, Last Call, Lying with Strangers, Got the Look, Hear No Evil, and The Pardon, many of them part of his Jack Swyteck series. He is also the author of a thriller for younger readers, Leapholes (ABA), and in 2006 contributed a short story to the acclaimed Thriller collection. James is now Counsel to Boies, Schiller & Flexner, LLP, one of the nation’s leading litigation law firms, headed by David Boies. Born and raised outside of Chicago, Grippando lives in Miami with his family where he was a trial lawyer for twelve years.